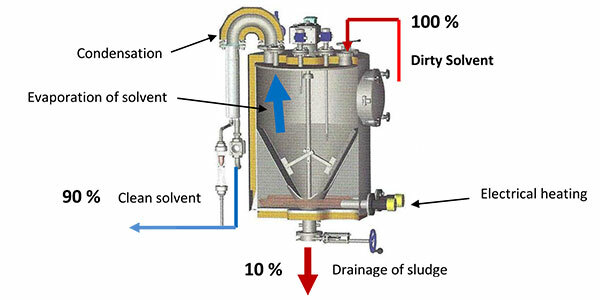 The distillation units of the German constructor OFRU allow to easily recover polluted solvent with very low energy. The return on investment is very quick and allow a lowering of the necessary purchase of solvent and assuring a constant quality of solvent. The successful medium range of OFRU proposes a heating with integrated steam generator under vacuum. The machines are built in stainless steel, to resist to aggressive solvents. 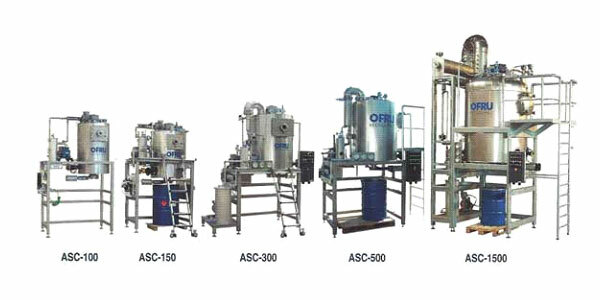 The range of distillation units of OFRU is actually the biggest and the most modern in the world. We also have a smaller range and a much bigger range for important production. OFRU is a German manufactory, near Frankfurt, with a climbing impact in the world. The priority that this German factory choosed to build their machines is for sure the reason of their growing success.